The sound performance installation “spectrophon” deals with the acoustic representation of light pulses. The visitor is invited to shape and modify a real-time musical score by the use of different light sources, which could also be brought along by themselves. 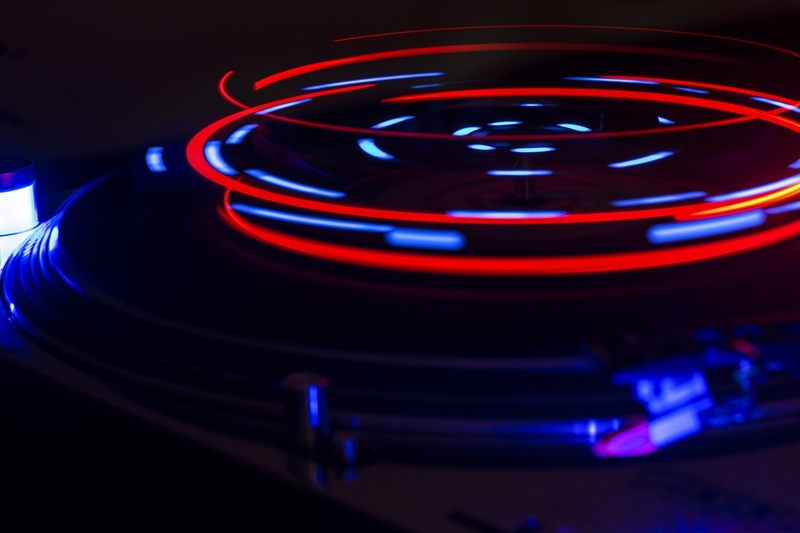 A turntable plays a central role as a rhythm instrument. However, the exhibit also offers the opportunity to discover various non-repetetive forms of rhythmic creation. The interactive sound sculpture lives by participation and leads the visitor into a contrasting visual sound-world. Technically spoken, the applied light sources act directly as acoustic oscillators. The pulse used by them is instantaneously converted by the sensors into an electronic voltage, which is transmitted to a computer via an audio interface and output on loudspeakers. The video above shows a spontaneous freestyle performance between me and Moritz König (aka. Dezibel), who also helped me developing the concept and in the building process of the sensors. This project was inspired and supported by the Vienna-based artist noid aka. Arnold Haberl.